Reddit, 4chan, and Tumblr are where most internet memes are born these days, and thanks to those first few that graced our computer screens many years ago, we now have a bunch of meme generator tools that we can use to make our own in a mere matter of seconds. If you’ve got a thing for internet memes, you can get really creative with everything from the wit of your captions, to the imagery of your choice. You can even create memes for specific situations, like birthdays. And if you’re really lucky, your meme might just go viral. Here are eight of the most popular tools people use today to create and share their own hilarious creations. Helps you find similar memes. Provides memes for you, or you can use a custom image. Can't customize the text size, location, or color. MemeGenerator.net is one of the most popular tools used for making memes. You can browse through ones that have been made by others and use the menu above to look for different characters, images, what’s popular and the newest. Hover your cursor over "Create" to start making your own meme image or character. Supports loading images from a URL. You don't need to make a user account. Doesn't always work as expected. If you’re familiar with the famous Rage Comic series featuring hilariously exaggerated characters like the Forever Alone Guy and the Me Gusta Guy, then this might be the tool you want to use if you prefer to work with Rage Guys. This tool is brought to you by the always hilarious, meme-owning Cheezburger network. Includes lots of built-in memes you can edit. More flexible than most meme generators. Supports using custom images from multiple locations. You need a user account to submit memes to the community. Imgur, one of the web's largest and most popular free image hosting platforms, has its very own meme generator tool. Simply select a default image background from the grid of examples below or upload your own. Edit the text to set the caption exactly how you want it and then instantly share it on Imgur. Supports unique features like more than two text boxes. The meme text color and size can be customized. Your meme can be downloaded but not shared to the website. Short for “do it yourself laugh out loud,” DIYLOL lets you search for memes and give them a star rating. Submit your own meme by uploading an image and filling in the text caption. DIYLOL also has an iPhone app, which is free, but hasn't been updated since 2013—so keep that in mind if you consider downloading it to your mobile device. Includes an advanced meme builder. Can make custom memes quickly by using existing memes. Lots of memes to pick from. Lets you save the meme and/or post it to the website. Posting to the website requires a user account. The meme builder can be difficult to use. Meme Center has a special kind of meme generator tool broken up into four main tools: the meme builder, the quick meme, the GIF maker and the uploader. Before you do anything you have to sign up for a free account, which shouldn’t take too long. Use the meme builder for advanced meme building or the quick meme tool to add captions fast and easily. There's a wide variety of meme backgrounds to pick from. Includes easy access share buttons. No user account is required to make or submit memes. Text boxes cannot be customized. No app is available for Android. Make a Meme makes it super quick and easy to create your own memes. Just browse through the thumbnails for the meme background image that you want, select it to display a pop-up builder, customize your text for the caption and then hit the preview button to make sure it looks good. When you're happy with what it looks like, click "Make the Meme." Advanced options when making the meme text. Provides a way to re-create existing memes. It's easy to find similar memes. Custom photos can be used. You can't delete memes you've shared on the site. 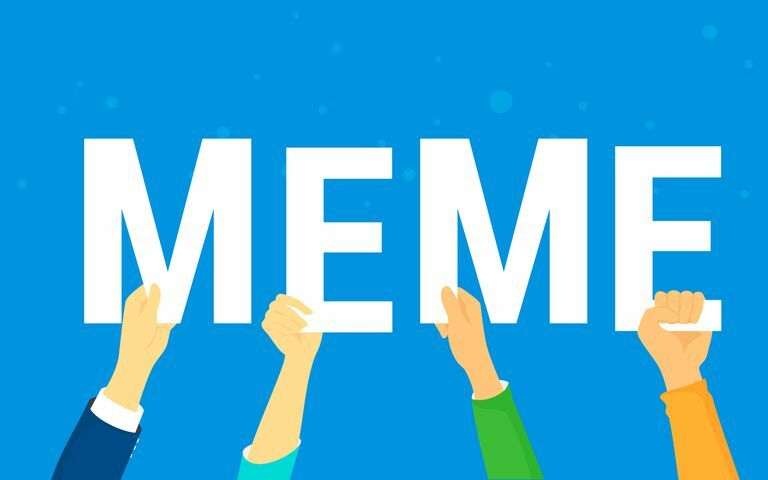 Meme Creator is yet another super simple tool that gives you a range of popular meme images that you can use to build your own. Hover your cursor over "Create" at the top to browse for a meme template or to upload your own. You can also see which memes are trending or view the main page to see the newest ones. Includes lots of built-in templates. Supports using a custom image in a variety of file formats. You have to install the program to your computer. No built-in option to upload the meme online. Now here’s something different for you. This is not a website like all the others. iMeme is actually an app for Mac OS X and Windows. Created by Redditor Michael Fogleman, the app comes with over 100 templates, image uploader, share options and a whole bunch of customizable options for sizing, fonts, text, alignment and more. Just be aware that this app probably hasn't been seriously updated since 2012, so download and use with caution!